Costs can be simply defined as the money or resources associated with a purchase / business transaction or any other activity. Different industries adopt different methods of ascertaining costs of their products depending on the nature of the production and the type of output. Cost sheet is the statement that shows various components of total cost of a product. It indicates per unit cost in addition to total cost. Cost sheet is prepared on the basis of historical cost and estimated cost. Fixed costs are those costs that do not vary with respect to changes in output and would accrue even if no output was produced. E.g. Rent, interest payments, property taxes and employee salaries. However, fixed costs are restricted to specific time frame, since over the long run fixed costs can vary. For example, a manufacturer may decide to expand capacity in tandem to the increase in demand for its product, requiring a higher level of expenditure on plant and equipment. Variable cost changes proportionately to the level of output. For manufacturers, the key variable cost is the cost of materials. It is defined as the sum of fixed, variable and semi variable costs. Direct costs typically include the major components for manufacturing goods and the labor directly required to produce those goods. Direct costs are also referred to as prime costs. On the other hand, indirect costs include plant-wide costs such as those resulting from the use of energy and fixed capital. Indirect costs are also referred to as overhead. It is mainly the extra cost associated with manufacturing one additional unit of production. It is also referred to as differential cost. It is defined as the cost of an alternative that is forgone (benefit, profit, value given up) in order to pursue a certain action. It is the cost that is already incurred and cannot be recovered. Through this method only the variable cost is allocated i.e. direct materials, direct expenses, direct labour and variable overheads to production. It does not include the fixed cost of production. It is the technique to absorb the fixed and variable costs to production. In this method, full costs i.e. fixed and variable costs are absorbed to the production. When the costs are predetermined on certain standards in a given set of operating conditions, it is called standard costing. In this method the costs are determined in terms of actual costs and not predetermined standard costs. Costs are determined only after it is incurred. Almost all organizations adopt this method of costing. It is also called the single output costing. It is used in costing of products that are expressed in identical units and suitable for products that are manufactured by continuous activity. Example: Cement manufacturing, Dairy, Mining etc. Under this method, costs are ascertained for each work order separately as each has its own specification and scope. 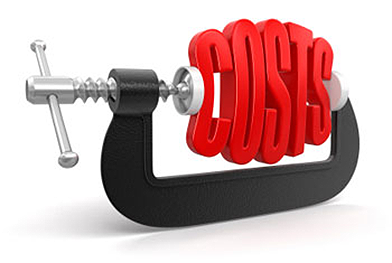 Tailor made products also get covered by this type of costing. In this method costing is done for jobs that involve heavy expenditure and stretches over long period and across different sites. It is also called as terminal costing. Through this method the costing is done for units that are produced in batches that are uniform in nature and design. It is used for the products which go through different processes. Like in the process of manufacturing cloth, different processes are involved namely spinning, weaving and finished product. Each process gives an output that is a finished product in itself and can be sold. That is why; process costing is used to ascertain the cost of each stage of production. It is the method used for the costing of operating a service such as Public Bus, Railways, Nursing home. It is used to ascertain the cost of a particular service. When the output comprises different assembled parts like in televisions, cars or electronic gadgets, cost has to be ascertained for the component as well as the finished product. Such costing may involve different / multiple methods of costing. Product costing methods are used to assign cost to a manufactured product. The main costing methods available are process costing, job costing and direct costing. Each of these methods apply to different production and decision environments. Job costing:This is the assignment of costs to a specific manufacturing job. This method is used when individual products or batches of products are unique, and especially when jobs are being billed directly to customers or are likely to be audited by customers. Process costing:This is the accumulation of labor, material and overhead costs across departments or entities, with the total production cost then being allocated to individual units. Process costing is used when large quantities of the same product are manufactured, usually in long production runs. Different inventory costing methods are best suited to different situations and financial goals. Under the First In, First Out (FIFO) method, the oldest costs are assigned to inventory items sold, regardless of whether the sold items were actually purchased at that cost. When the number of inventory items purchased at the oldest cost is sold, the next oldest cost is assigned to sales. The average cost method assigns inventory costs by calculating a moving average of all inventory purchase costs. The specific identification method perfectly matches inventory costs with units sold, assigning the exact cost of each sold inventory item when the specific item is sold. There are two conventional costing approaches used in manufacturing, namely process and job order costing. 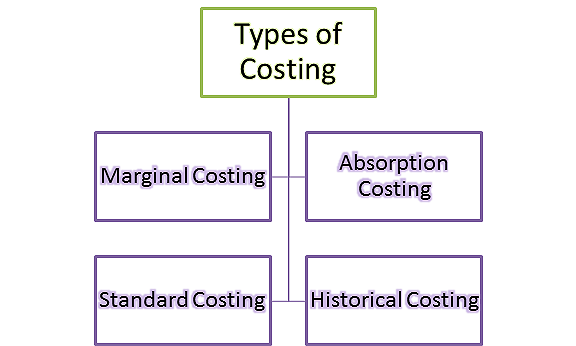 Process costing method analyzes the net cost of a manufacturing process. Since most manufacturing processes involve more than one step, calculation is made for each step to arrive at a unit cost average for the entire production system. The second major costing method, job-order costing, involves costing based on an individual product basis. This is useful where each unit of production is customized or where there are very few units produced. Under this method, the exact costs incurred in the production of a particular unit are calculated and are not necessarily averaged with those of any other unit, since every unit may be different. Activity-based costing (ABC) is a secondary / somewhat complementary method to the two traditional costing techniques. While traditional methods classify costs into categories like direct materials, labor and other overheads, ABC considers all the costs associated with a single manufacturing task, regardless of whether they fall under the headings of labor or materials or something else. The benefit of this method is that management can keep track of tasks that cost the most versus which add the most value; indicating any disproportionate amount of money being spent on low-value activities, thereby indicating the need for process change. With the increasing changes in the industries and complexities of businesses, costing becomes important for managements to take appropriate decisions, planning and control and having effective cost management measures in place.